Northwest Italy’s Piedmont region is a gastronome’s paradise. Its aristocratic, truffle-infused cuisine is matched by its equally noble red wines, Barolo and Barbaresco, as well as by many other less famous but still impressive bottlings. Here, the best producers to look for. Modern wine orthodoxy glamorizes estate-grown fruit, yet Bruno Giacosa proves it’s possible to make exceptional Barolos and Barbarescos mostly from purchased grapes. His secret: cherry-picking the finest sites for fruit. Portfolio highlights include the bright Arneis and the majestic Nebbiolo-based reds. The vast size of this estate means that many of its wines are easier to find and more affordable than is often the case in Piedmont. Vintner Marcello Ceretto and his brother Bruno helped drive the craze for single-site Nebbiolos in the 1970s; today the next generation crafts wines in the same fruit-focused style. Domenico Clerico’s seductive Barolos made him famous in the 1980s, when he became known as one of Piedmont’s young rebels. Though Clerico uses modern techniques such as oak aging, his wines—with big tannins, graceful oak and deep fruit flavors—hew a middle ground between new and traditional winemaking styles. Don’t overlook his terrific Barbera and Dolcetto. One of the original “Barolo Boys,” the youthful posse of winemakers who upended Piedmont’s wine industry in the 1980s, Elio Altare is now a father figure to a new generation. He helped pioneer a fruitier, less tannic style for Barolo, and continues to make his revered boutique wines from the same 24 acres (12 owned, 12 rented). His Arborina cuvée is his most famous. Fontanafredda has long been known for making lots of good, but rarely great, wines that cover Piedmont’s major bases: Barolos, Barberas, Barbarescos and Dolcettos plus whites and sparklers. But when entrepreneur Oscar Farinetti bought the estate with a partner in 2008, quality shot up. Today it’s a winery to watch. 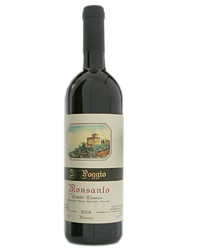 Borgogno has been known for its Barolos since the 1700s. Aged in huge, old oak casks (which helps give Nebbiolos their longevity), Borgogno’s reds are legendary; the Barbera is a true steal. 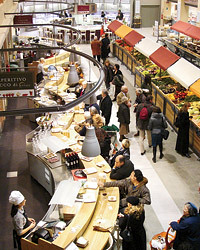 The estate’s new owners, the Farinetti family (of Eataly food- market fame), seem intent on preserving Borgogno’s traditions. La Scolca was one of the first wineries in Gavi to focus on quality still wines from the local Cortese grape, which until the 1970s was made chiefly into sparkling wine (most of it forgettable). Owned by the Soldati family, the winery offers an exceptionally tasty entry-level Gavi di Gavi, as well as other terrific cuvées. The single-vineyard bottlings introduced by La Spinetta in 1978 redefined Moscato d’Asti. Since then, the Rivetti family has rethought Barbera, Barbaresco and Barolo in a series of ambitious cuvées. Today the Rivetti brothers are among Piedmont’s brightest stars. Low yields, oak aging and a focus on vineyards is the Rivetti formula; showy, fruit-driven wines are the result. 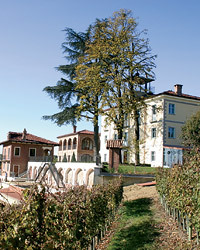 Grapes have grown on the Di Grésy family’s Martinenga estate in Langhe since antiquity. In 1973, Alberto di Grésy built a winery here to take advantage of the family’s well-situated vineyards and soon began snapping up more top sites. Today Barbaresco is the winery’s calling card, though winemaker Marco Dotta also has a deft hand with Barbera, Dolcetto and Sauvignon Blanc. For generations the Massolino family has made well-regarded wines in Serralunga d’Alba, a small community known for its powerful Barolos. But it wasn’t until after brothers Roberto and Franco Massolino began to take over the winery in the 1990s that this producer gained its buzzworthy status. Four ambitious single-vineyard Barolos top its varied estate-grown portfolio. Michele Chiarlo made his name with ripe, oak-aged Barbera from his home turf in Asti. Today he’s one of Piedmont’s most important producers, making wines from nearly every major DOC. Chiarlo’s single-vineyard Barolos attract collectors, while his introductory Barberas offer an affordable taste of his style. When Giuseppe Boffa took over Pio Cesare from his father-in-law in the 1940s, he began creating some of Piedmont’s most prized Barolos. Boffa’s son, Pio, is now the winemaker, and though he’s added new cuvées, he has preserved the estate’s structured style. He also uses obscure local grapes like Grignolino and Freisa; the wines are worth trying if you can find them. Founded in 1897 by Luigi Einaudi, a future president of the Italian Republic, this estate is near Dogliani, a town known for its remarkable Dolcetto. Einaudi’s versions are some of the finest, thanks to superb vineyards and, since the late ’90s, the consulting help of Beppe Caviola. Caviola’s influence has also brought new attention to Einaudi’s three earthy, ripe yet firm Barolos. Cooperative wineries are often known for tanker-loads of plonk, but Produttori del Barbaresco is a magnificent exception. This co-op not only makes some of Italy’s best Barbarescos but also has helped drive Piedmont’s trend toward site-specific winemaking. 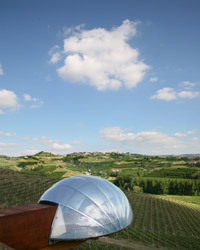 The winery’s single-vineyard cuvées are outstanding, while a multivineyard Barbaresco and a basic Langhe red offer value. Gifted winemaker and Piedmont upstart Luciano Sandrone began as a cellarhand but saved enough money to buy a piece of the famed Cannubi vineyard in 1970. Sandrone makes two magnificent Barolos, plus a Dolcetto and a Barbera that are among Piedmont’s best. All his wines showcase a rich but refined style. Vietti is legendary for its traditionally styled single-vineyard Barolos. Beyond the top-end wines lies a compelling array of Piedmont classics, including a bright Arneis, the local white that owner Alfredo Currado rescued from near extinction in the 1960s. Son Luca Currado—an alumnus of California’s Opus One and Bordeaux’s Château Mouton Rothschild—helms the winery today.